This Intensive concentrates on the Ascendant, arguably the most important astrological factor. With a major construction role in individually building any birthchart, it technically anchors the picture to the horizonal location of an exact latitude and longitude. It is the fastest moving, most personalised point in a chart – for a given time, date, and place (i.e. the specific chart data). Importantly, the Ascendant represents the eastern point of the horizon, where all celestial bodies and signs on the ecliptic emerge. They do so due to the paramount mechanism of Primary Motion, which is the daily experience of the rotation of planet Earth. In portraying where the moving celestial meets the terrestrial at the horizon, it epitomises the essential astrological symbolism of the heavenly being brought down into the world. This Intensive reviews a code which seems a given in ancient astrological heritage, as many of the old texts appear to expect the astrologer to have a baseline understanding. It was knowledge which provided guidelines about which planets to focus upon and could indicate where benefit or challenge may more likely manifest. Sect was a fundamental type of analysis which finetuned astrological symbolism and allowed for a doorway into delineation. The dual principles of the benefic and the malefic are threaded throughout the canon of astrological heritage. Basically, these categories represent an attempt to objectify what is ‘good’ and what is ‘bad’ – so symbolic judgement can be developed. Various components of a horoscopic chart may express in either of these modes, even though certain chart factors will begin from an essential classification as one or the other. Yet what do these complementary but opposite terms really mean? It is clear that both the positive and negative coexist and astrology’s heritage has openly acknowledged this fundamental truth. This Intensive aims to dispel any misconceptions about these principles, in presenting how to effectively deal with them as chart factors. Seeking to understand the definition of ‘benefic’ and ‘malefic’, plus what actually symbolises these terms, strengthens astrological practice. Every astrological chart promises rich insight, yet taunts with complex symbolism. 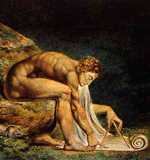 Down the centuries of astrological writings, two teaching aids maintained a key presence – Metaphor and Aphorism. Each culture used daily life examples to apprehend charts. The ancient Hellenistic world of the seafaring Mediterranean inclined to nautical ones, in the Roman era legal testimony and judgement appealed, medieval feudal times understood notions of property and ownership, while the 20th century has embraced psychological ideas. These types of cultural and historical inflections aided the grasp of astrological meaning. This Intensive aims to deepen awareness of concepts relayed in the translated sayings through chosen aphorisms, demonstrating their utility and charm. It is only by reading and comprehending the texts themselves that there can be benefits for practice. An engaging selection of significant astrological authors will be presented, including Valens, Maternus, Ibn Ezra, Abu Ma’shar, Bonatti, and Cardan, representing a wide range of history – Greek, Roman, Arabic, Medieval and Renaissance. The Sun is unavoidably central to everything. For without the Sun there is nothing, no life on earth or no astrology, as we know it. This is the most ‘active’ light principle, all other celestial bodies being visible or invisible due to the Sun’s light. Each of the planets has its special relationship to the ‘king’, and this is observed in their relative motions and visual appearances. Movement and light, orientality and occidentality, rising, culminating, and setting, were always keenly observed. Astrology is never a static picture, for there is always some kind of ever moving process in play. 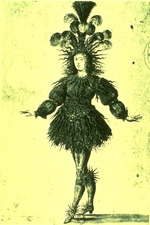 The planets should be regarded as in a constant form of dynamic movement, or an active ‘dance’, with the Sun. There is a wealth of heritage technique to explore in this Intensive. The very old doctrine of the seven Hermetic Planetary Lots had a remarkably key significance in ancient astrology. They were calculated points integrating vital primary factors, plumbing the chart surface to reveal meaning that would have otherwise remained hidden. Overlooked into modern day, these lost horoscopic dimensions now offer a further refinement and sophistication which is open to interesting rediscovery. The objective of this Intensive is to explore the unique nature, workings, and use of an intriguing underlying symbolic network. 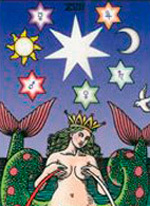 Astrological Lots hark from mysterious antiquitous roots, perhaps related to the legendary Nechepso and Petosiris. They appear to have a very primary tone to their character which may represent an original ancient doctrinal template. Due to difficulty identifying exact dates and authors, it is important to realise that this proposition does remain hypothetical. The oldest known set relates to each of the seven classical celestial bodies, which have been traditionally associated with the legendary wisdom figure of Hermes Trismegistus – hence the title of the ‘Hermetic Lots’. This Intensive focuses upon the identity and role of the western tropical zodiac and the twelve houses. Seeing how these two factors relate and function in astrology is another aim. In general overview western horoscopic astrology consists of a group of main building blocks – the planets, the tropical zodiac, the twelve-house system. Combining all of these with some other components, principles and techniques, will create a full horoscopic picture – known as an ‘astrological chart’. These core components, the planets, the zodiac and the houses (as ‘stars’, ‘images’, ‘places’) have distinct identities and application. Fundamentally, each plays an independent role as a symbol-set in creating the entire horoscopic experience. 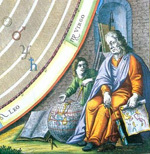 In the historical heritage of astrology, they have developed their symbolism from separate informing principles which result in their unique purposes and functions. The original seven planets were always known as the ‘stars’, that is, the ‘Stars of the Gods’. These are the most truly active agencies within the astrological system. They are the ‘light-bearers’ who ‘speak’ to us through ever-changing motion and appearances. More than anything else, it is they which offer the ‘signs’ whereby a chart is read. Thus they have been called titles such as ‘lords’, ‘significators’, and ‘promittors’. It is central that on an essential basis each astrological planet ‘rules’ its own individual nature – this comprises qualities at an archetypal core of the symbolism. In addition to a core essence, each celestial body has particular kinds of principles and processes. Knowing these essences, principles and processes becomes crucial to being able to delineate judiciously and creatively. 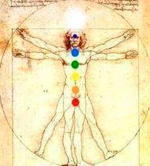 From ancient times astrology has attempted to understand the physical body and the quality of lifeforce. There were principles and techniques throughout the Art’s history about health, life, sickness and death. These related to horoscopic components concerned with supporting or draining well-being. 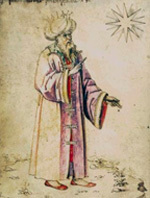 In addition, astrological approaches to health and vitality differed from one author to the next, with a great complexity of technique. However, there are considerations of interest to the astrological student concerning the potential for well-being, some well-known and promoted today. This Intensive reviews several traditional approaches and related methods pertaining to this topic. Certain astrological factors were seen as primary, and have been called a ‘vital core’ when it comes to judging vitality indications. These were also known as hylegiacal or aphetic points. An outstanding feature that has emerged from the ongoing excavation of astrological heritage is the enhanced awareness of essential planetary dignity. 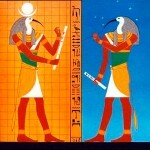 The coherence and relevance of this artful system is represented in the ancient teaching tool of the Thema Mundi, where the soli-lunar relationship and sect appear fundamental to the Art’s symbolic and philosophical depths. Essential Dignity is a bedrock principle for both method and delineation, bringing a cohesive force to the birthchart. Without a good comprehension of this doctrine, astrological ‘language’ cannot be fluently and creatively negotiated with any real substantiation. This Intensive offers an extensive exploration and application of a central tenet from the astrological heartland – Essential Dignity. The idea relates to a celestial body being placed in a zodiac sign, or in a part of a zodiac sign, which is considered to be natural or familiar territory. Each ‘sign’ (modern term) is actually the ‘house’, or more appropriately the ‘celestial house’ of a planet or light. The meaning, function and capacity of every planet will be conditioned by these various placements, or lack thereof. Seeking to grasp the different relationship dynamics, this Intensive delves into the underpinnings of aspect origin and development.